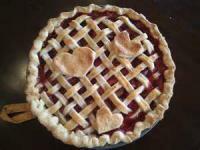 Delicious homemade pies for sale and great bargains on gently-used adult and children's books, DVDs, and puzzles. Donations are welcome during library hours. The Friends of the Kraemer Library and Community Center foundation was established by the Kraemer Business and Family Partnership in September 2001. The Partnership had made an initial gift of $975,000 toward the construction of a new library and community center to house the Plain Public Library, and pledged to the community that only private funds would be used to construct the combined library building and community center. The initial role of the Friends foundation was to accept donations for the new structure, offset operating costs, and make ongoing contributions to the library. Friends members are library enthusiasts who, through their membership dues and fundraising activities, raise funds to supplement and enhance the library’s programming and materials budgets, thus insuring the continued growth and evolution of a high-quality library and community center. New members are always welcome. The primary mission of the Friends of the Kraemer Library and Community Center is to enhance the basic operation and quality of the Kraemer Library and Community Center. This is accomplished through membership dues, organized fundraising activities, and the sale of library-themed merchandise. These activities have allowed the Friends to support library programs, contribute toward building improvements, provide new or upgraded equipment for the library and community center, and reach out to the community through donations and memorials. The Memorial and Honor Program is the perfect way to remember friends and loved ones, including your pet. You can commemorate birthdays, graduations, anniversaries, retirements and other important events while benefiting the whole community. Special donation envelopes are available at the library.